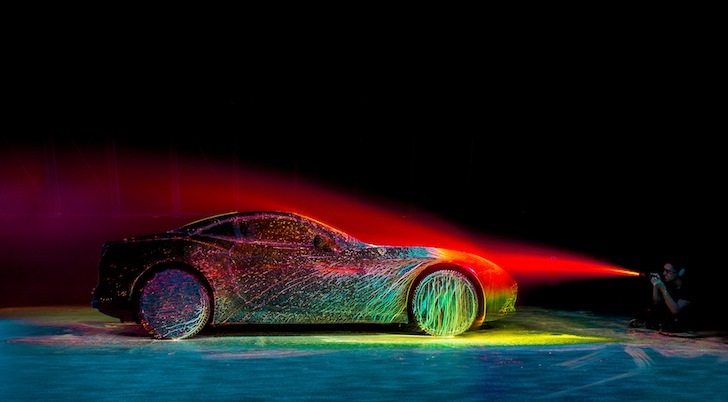 Swiss artist Fabian Oefner celebrates the brand new Ferrari California T with the a wind tunnel and a cack-ton of UV paint. 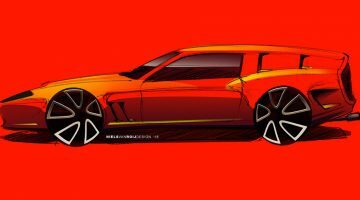 A few weeks ago we brought you the creative talents of Fabian Oefner, who demonstrated what a 1961 Jaguar E-Type and a 1967 Ferrari 330 P4 look like when ‘disintegrated’. 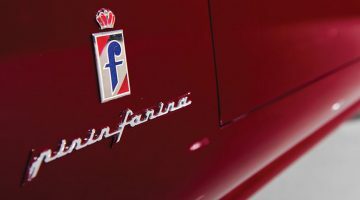 This eclectic style certainly caught the eye of Ferrari, who recently invited the Swiss artist to Maranello to interpret its brand new California T as an art form. 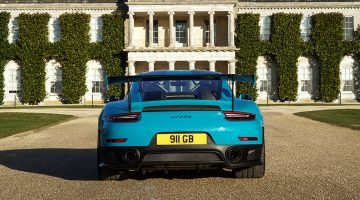 In order to emphasise the ‘bold design and fluid form’ – and after a quick spin behind the wheel – Fabian was adamant that the sensation of speed play a big role in the project, called ‘State of the Art’. After experimenting with a scale model of the Ferrari, a small windtunnel and a LOT of ultraviolet paint, Fabian was ready to try the real thing….